The OnePlus 3 and 3T are a pair of phones which allow you to do practically anything you want, because OnePlus is such a developer-friendly company. They almost always release kernel sources, and their phones sport an unlockable bootloader that doesn't void the warranty. But while their software is certainly solid (miles ahead of Samsung's TouchWiz), it still has room for improvement. Case in point, users have complained of laggy touchscreen responsiveness after a change made to the kernel in the last software update. This problem causes the device to seem as though it is lagging, and it's most noticeable while scrolling — try scrolling up and down in Instagram or a Wikipedia article and you'll notice that the screen doesn't begin moving until a second or two after you swipe. 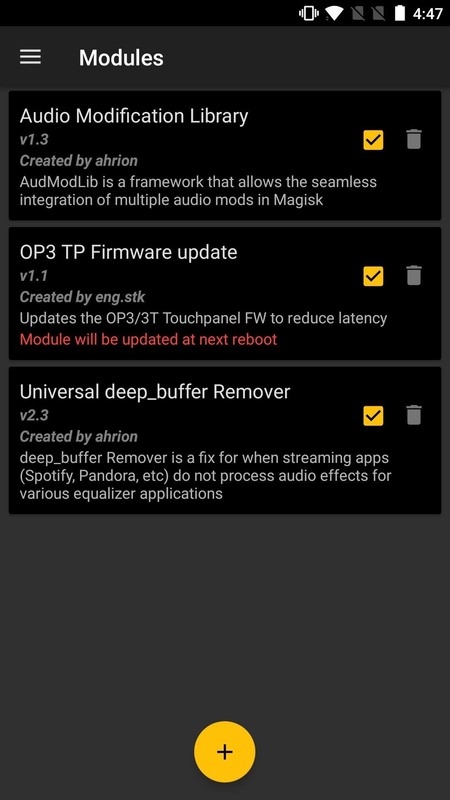 In order to remedy this annoying issue, developer eng.stk has created a Magisk module that will fix the problem while we wait on OnePlus to issue an update. 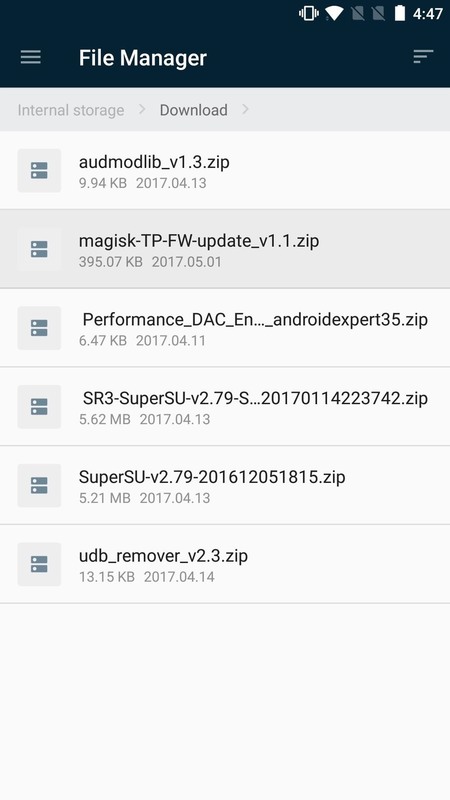 To begin, tap the link below from your OnePlus 3 or 3T to download the Magisk module that fixes touchscreen lag, which is called TP-FW. After downloading the file, open the Magisk Manager app and use the side panel to navigate to Modules. Then, tap on the yellow action button and select the ZIP file you just downloaded. 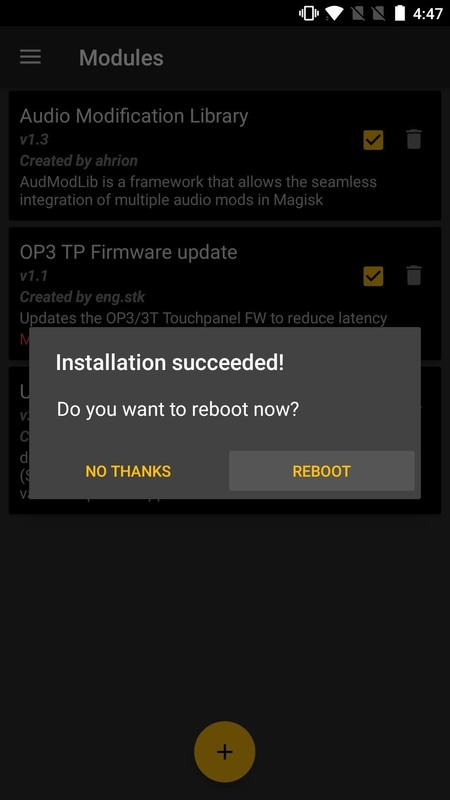 Magisk will automatically install the module and prompt you to reboot, so tap the "Reboot" button to wrap up installation. Once your phone has rebooted, you'll see that the Magisk module is now active. Try scrolling in Chrome or Instagram, and you'll immediately notice the difference. If Instagram isn't your thing, then go ahead and text your best friend. Tell them about this awesome module, I'm sure they'll appreciate the faster response time. If OnePlus does issue an update to fix the touchscreen latency in the near future, you can just as easily uninstall TP-FW through Magisk Manager — just tap on the little garbage can icon next to the module. In the meantime, let us know if this module has made your OnePlus 3 or 3T experience a bit more enjoyable by leaving a comment down below.